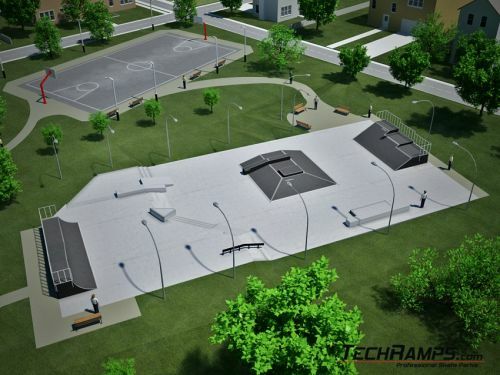 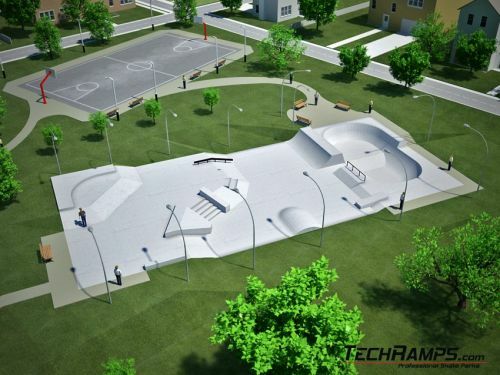 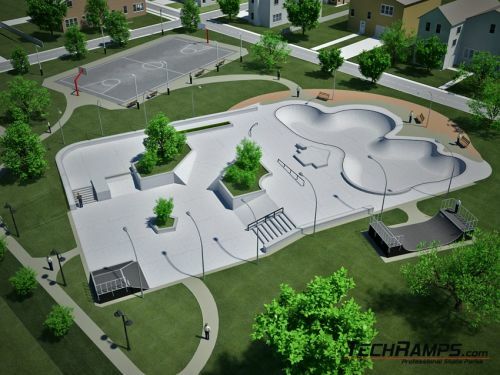 Exemplary Skateparks - Building skatepark and design skateparks. 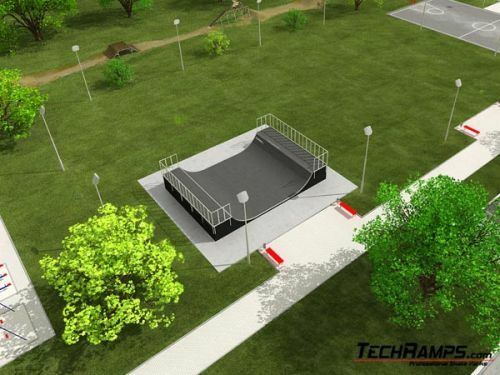 Small skatepark with low bank ramp and quarter pipe, grindboxes, rails, grindbench and poll jam. 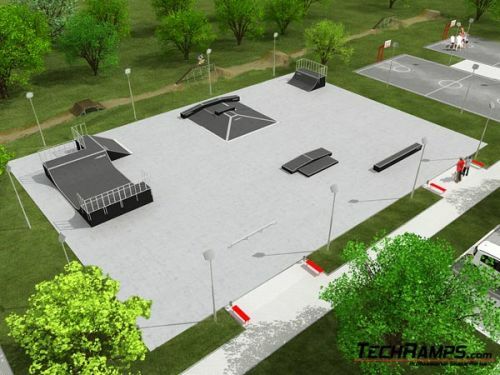 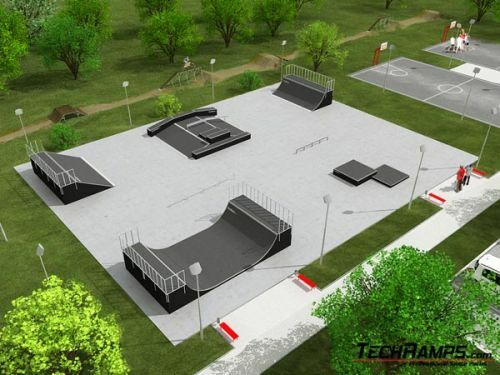 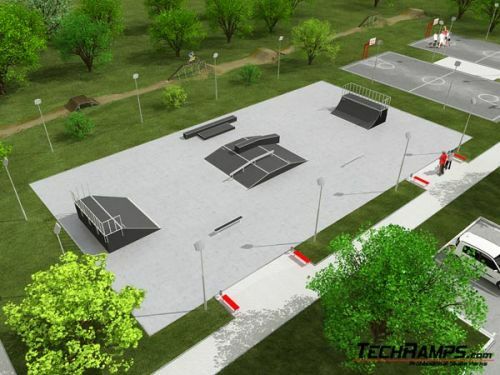 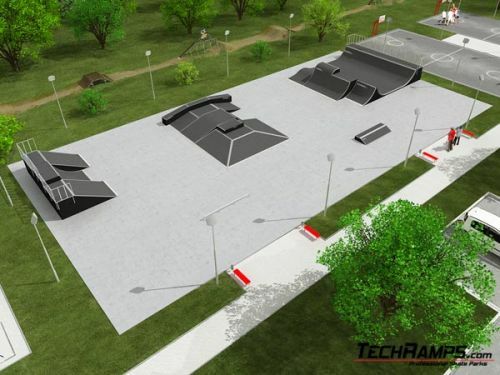 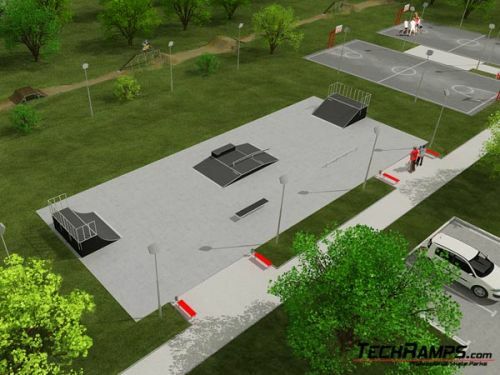 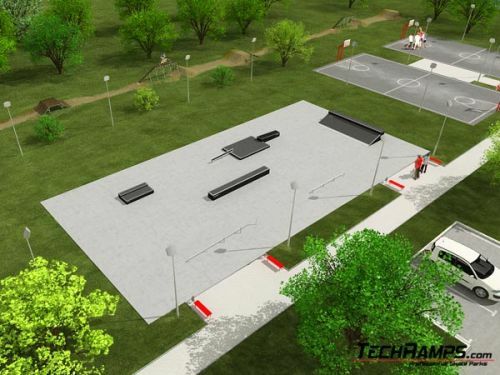 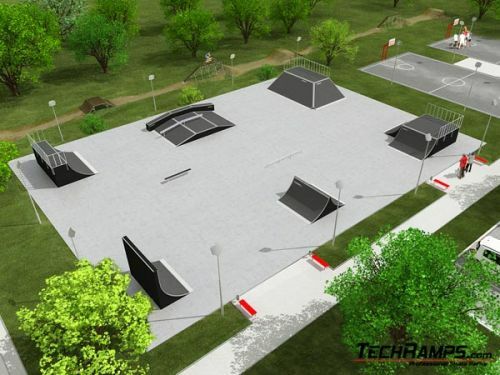 This miniskatepark will be a good choice for novice users. 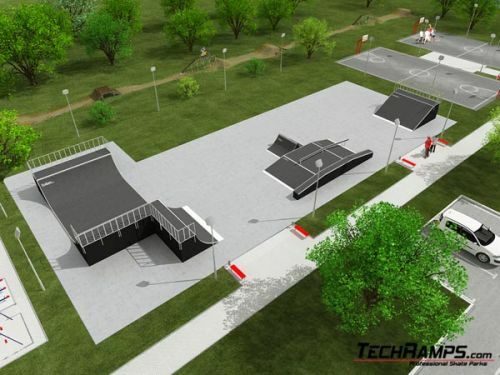 Skatepark consist of wide bank ramp, quarter pipe, funbox and spin ramp. 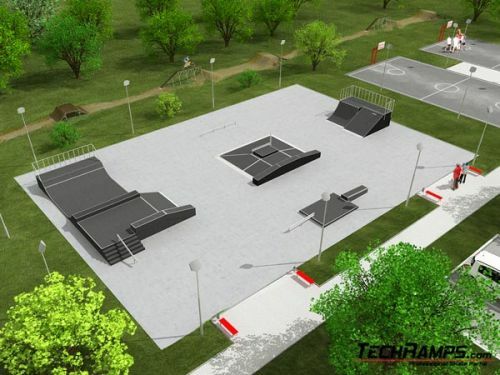 In the middle therea are rail and grindbench. 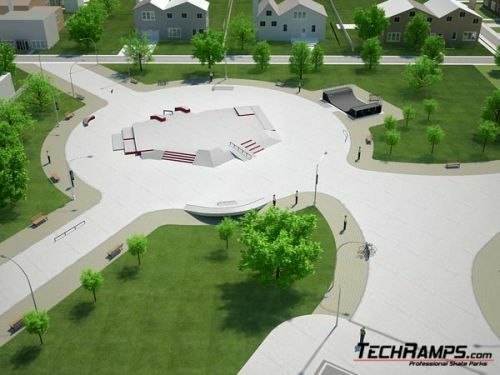 The skatepark can be divided into two lines of way. 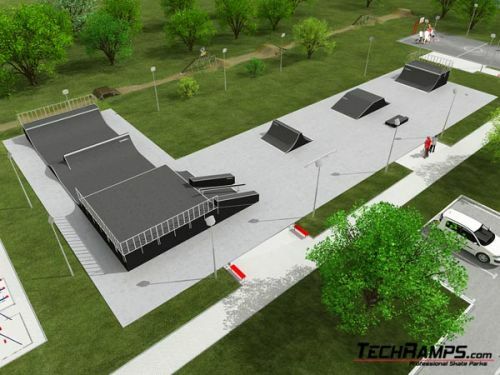 Skatepark with wide funbox, miniramp combined with bank ramp, complemented by grindboxes and rail. 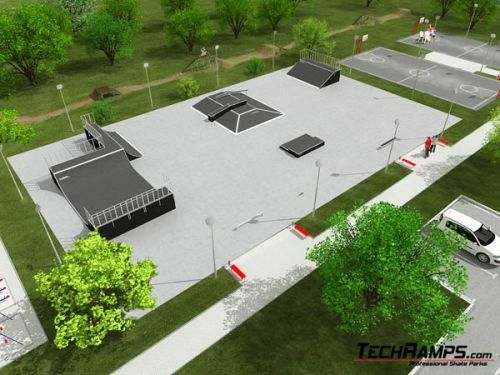 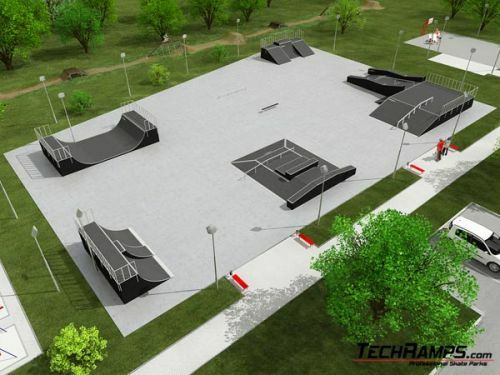 Very big skatepark with wide bank ramp, quarter pipe, miniramp and expanded platform. 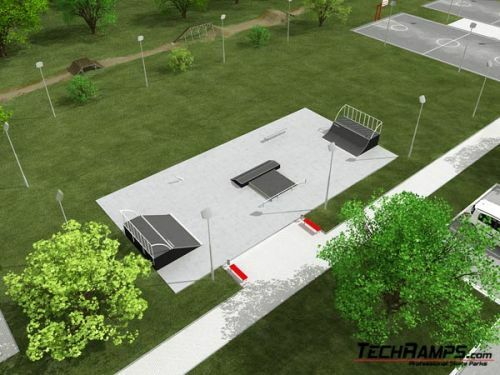 Skatepark with wide bank ramp , quarter pipe and funbox, also with spin ramp. 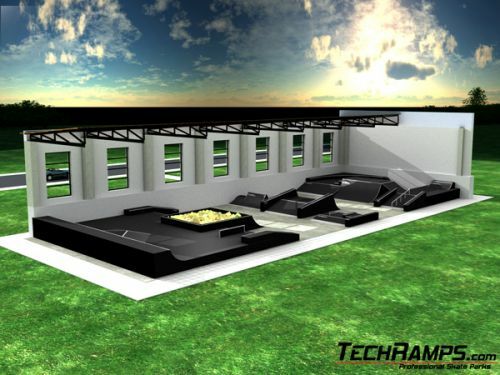 Miniramp combined with quarter pipe.